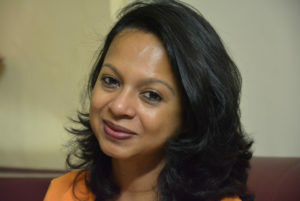 Dr. Nandini Choudhury Sen is Associate Professor of English at Bharati College, University of Delhi. She was Fellow at the Indian Institute of Advanced Study, Shimla and Cluster Innovation Centre, University of Delhi. She has been the recipient of the Charles Wallace Fellowship in the years 2000 and 2012 respectively for travel and Research in London. She has been awarded the Ambassador for Peace Prize by the United Peace Federation, India Chapter. She has also been the recipient of the Vishisht Siksha Samman for Contribution to Higher Education by Vishisht Institution Indore in 2015.Her area of specialization is African studies. She has published extensively on Post-Colonial Literatures and Gender Studies. Her recent Publications include Through the Diasporic Lens(2017), Mahasweta Devi: Critical Perspectives(2012) and Africa and India in the 21st Century: Contexts, Comparisons and Cooperation (2015).She has also Co Edited the journals The Oriental Anthropologist (2015) and Alternations (2016) in collaboration with the University of Kwa Zulu Natal, South Africa. Dr. Sen has given lectures and talks internationally. She is also the member of the Management Committee of several DPS schools where she serves as the academic advisor.